Keep your tootsies toasty and celebrate 100 years of the National Park Service with our adorable National Park Socks! Each purchase of these super-cute (and super-soft!) wildlife-themed socks provides a contribution towards the National Parks Foundation. With five different patterns, you'll find a design for every outfit or mood. Perfect for keeping your feet cozy while you're enjoying a campfire in one of our nation's natural treasures - or enjoying a book in the comfort of your own home! One size fits most men and women. 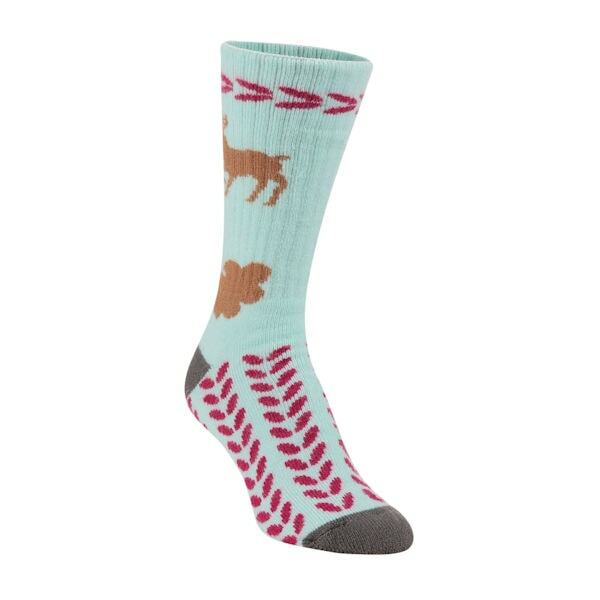 Available in Reindeer (Light Aqua), Hoot (Gray), Nutty (White), Moosin Around (Pink) and Grizzly (Dark Aqua).